This is the second recipe I've made from Mrs. Happy Homemaker this week and both have turned out fantastic. I've actually never made grits before and I cheated and made a good quality quick cooking style of grits. They turned out delicious. 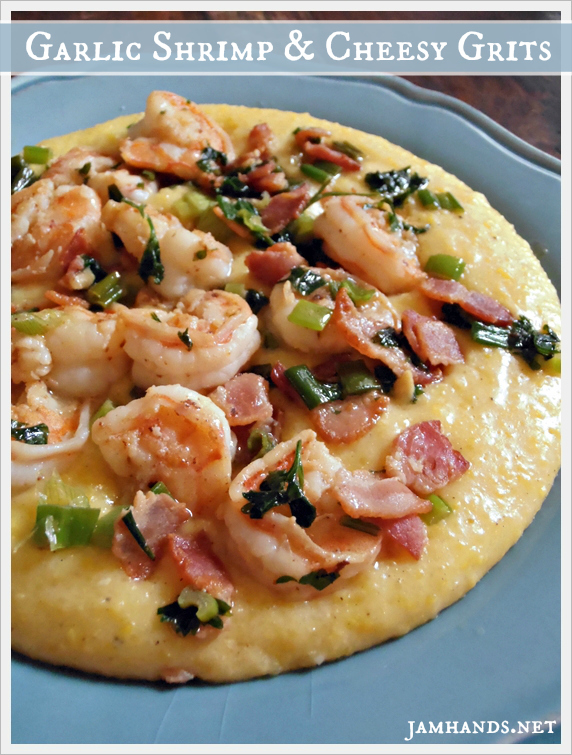 My only mistake was that I didn't cook the bacon longer, I think it needs to be a bit crispy to offset the grits. Many thanks to Mrs. Happy Homemaker for another winning recipe. Enjoy! 1. Bring water to a boil. Stir in a teaspoon of salt.. Add grits and cook until water is absorbed, about 20 to 25 minutes. Remove from heat and stir in butter and cheese. Season with salt & pepper to taste. 2. Rinse shrimp and pat dry. Fry the bacon in a large skillet until browned; drain well. In grease, add shrimp. Cook until shrimp turn pink. Add lemon juice, chopped bacon, parsley, scallions and garlic. Saute for 3 more minutes. 3. Spoon grits into a serving bowl. Add shrimp mixture. Serve immediately. Recipe from Mrs. Happy Homemaker. Sharing this recipe at the following fun link parties. This sounds delish! 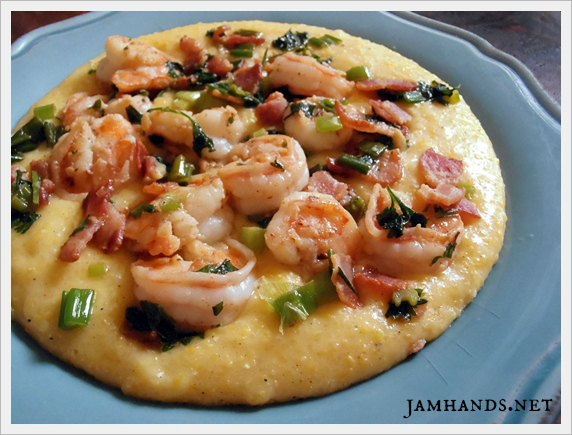 Love shrimp and grits. Thanks for sharing. Looks delicious! Pinning to hopefully try in the future! Ooh yum! These look delicious. 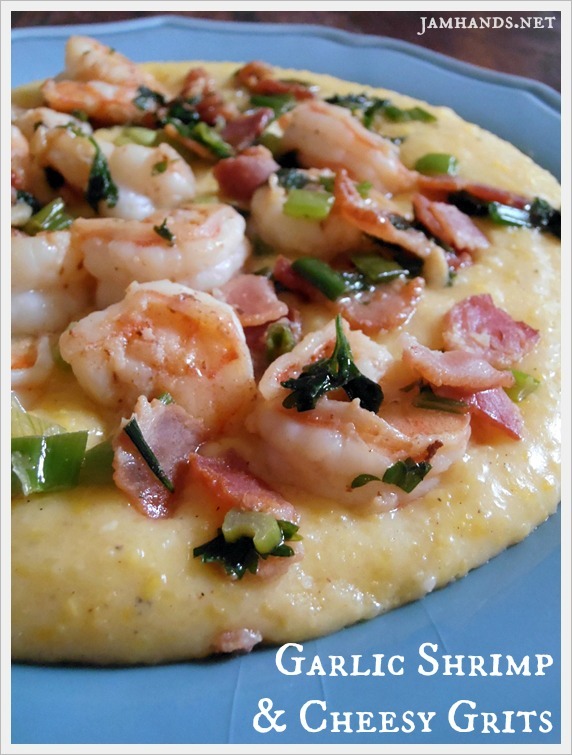 I've never made grits..but this recipe makes me want to give it a try. And it would be perfect for my new link party. This link party is called 'Required Ingredient Recipe Link Party' and I'll be holding it every Sunday, starting right now.